If this size doesn’t fits you then submit customized order. We also make customized Leather Jacket on demand and Customer Choice/Design. RW:08 is a Classic Biker Jacket. 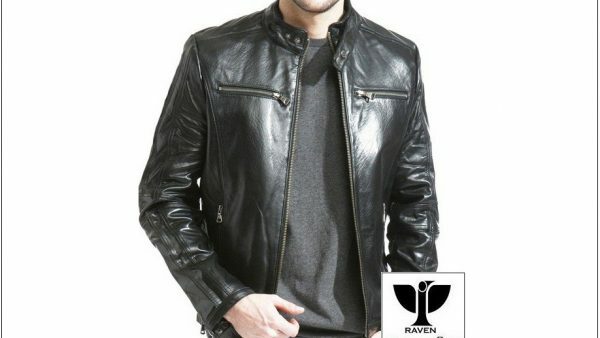 This awesome leather jacket is an exclusive product for RAVEN’s Winter Collection. Black, brown, dark chocolate, camel, and wine are color options for this rider jacket. Satin, polyester, filler, fur, cotton are the lining options. Blazer, jacket, cuff, button are options for sleeves. Collar options are open, button, and buckle. Zippers are metal from the world-class company YKK (Yoshida Kogyo Kabushiki Kaisha). They manufacture approximately 90% of all zippers in over 206 facilities in 52 countries. 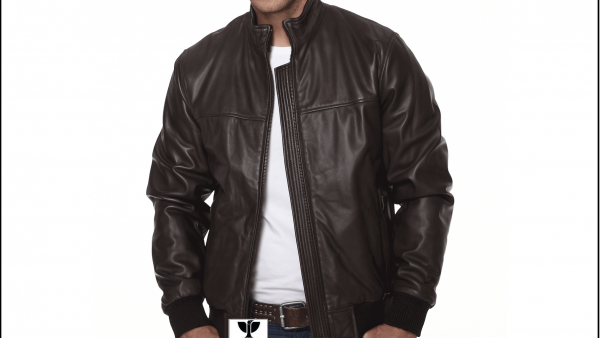 This stitching style Jacket comes with the default material option of Cow leather. But there are other options available: Sheep leather, Goat leather, and Lambskin. This black color is suited better for this particular design. This black edition of Classic Biker Jacket is one of the feature leather jackets of RAVEN’s Winter collection. RAVEN believes in quality, not in quantity. So, the materials we use in our jackets are standard quality. We use Napa leather for our exclusive leather jackets along with Aniline finished. We use two types of YKK zipper plain and thumb puller. But in this design, we use plain puller YKK zipper. This blazer style collar jacket has zip pockets on its front with a flap pocket also. It has one inside pocket for carrying the accessories. The pocket depth can be customized. This magnificent jacket is fully zipped front with belted style collar. It also has shoulders epaulets which give it a unique appearance. We also provide custom-made designs for our customer’s requirement. In the future, we will provide custom choice buttons for our honorable customers. We hope these options will be very helpful for our customers. 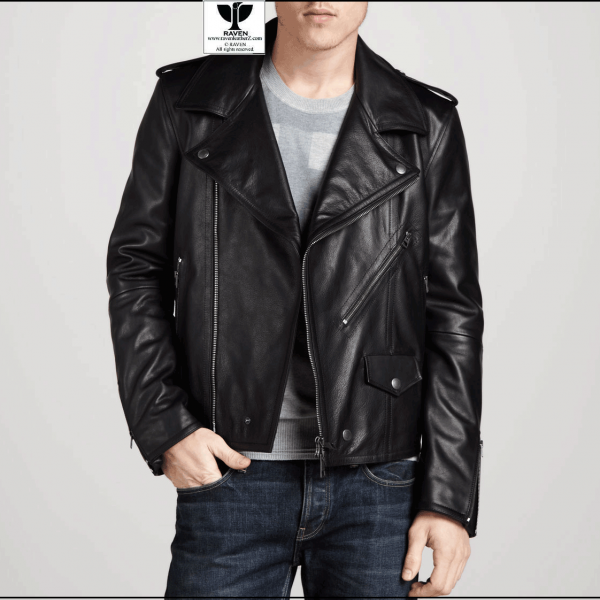 We guarantee the best quality leather jacket at a great price that you could ever find elsewhere. We believe that you’ll be surprised by the quality you get at such a reasonable price in Dhaka, Bangladesh. 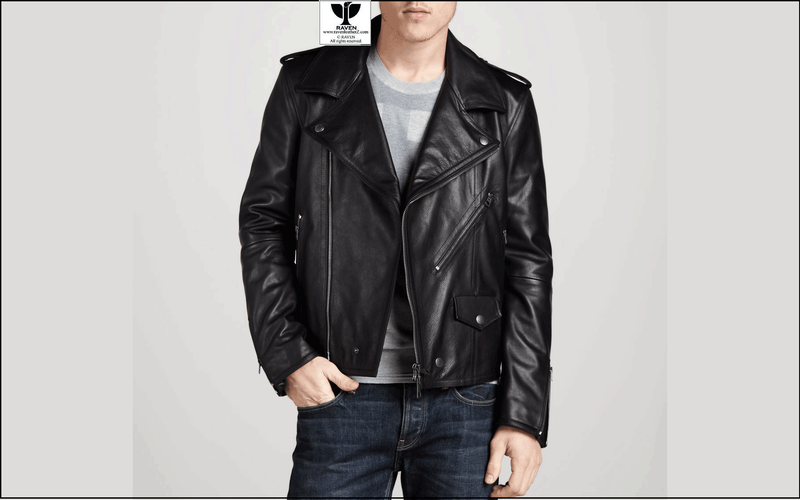 This cool men’s genuine leather jacket is handmade using top grain leather. 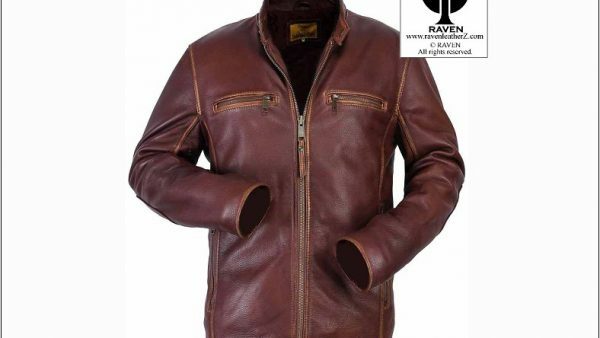 The leather, RAVEN provide is known for its best quality, durability, and awesome softness. I want to buy this one. Nice design of MOTOR BIKE JACKET.